ZWARA, Libya, Dec 5 2014 (IPS) - It could be a squat house anywhere: music is playing non-stop and there is also a radio station and an art exhibition. However, weapons are also on display among the instruments, and most here wear camouflage uniform. “The house belonged to a former member of the secret services of [Muammar] Gaddafi so we decided to squat it for the local youth in Zwara [an Amazigh enclave 120 km west of Tripoli, on the border with Tunisia],” Fadel Farhad, an electrician who combines his work with the local militia, tells IPS. The centre is called “Tifinagh” after the name given to the Amazigh alphabet. Also called Berbers, the Amazigh are native inhabitants of North Africa. Like most of the youngsters at the centre, Farhad knows he can be mobilised at any time. The latest attack on Zwara took place less than a kilometre from here a little over a week ago, when an airstrike hit a warehouse killing two Libyans and six sub-Saharan migrants. Three years after Gaddafi was toppled, Libya remains in a state of political turmoil that has pushed the country to the brink of civil war. There are two governments and two separate parliaments one based in Tripoli and the other in Tobruk, 1,000 km east of the capital. 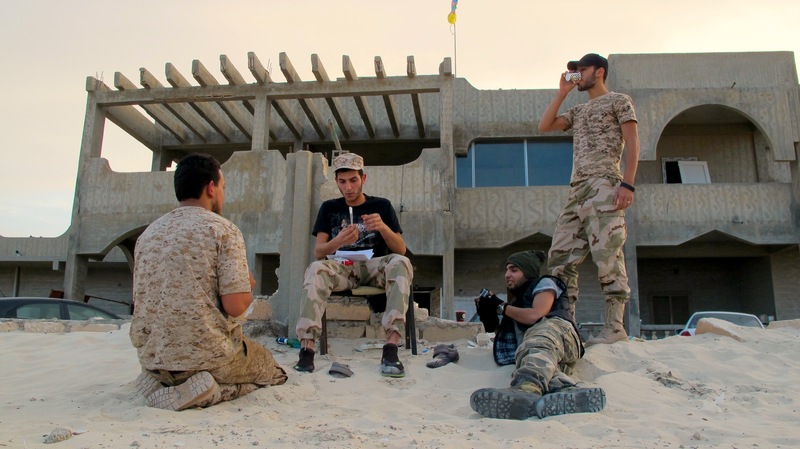 Several militias are grouped into two paramilitary alliances: Fajr (“Dawn” in Arabic), led by the Misrata brigades controlling Tripoli, and Karama (“Dignity”) commanded by Khalifa Haftar, a Tobruk-based former army general. “Here in Zwara we rely on around 5000 men grouped into different militias,” Younis, a militia fighter who prefers not to give his full name, tells IPS. “We never wanted this to happen but the problem is that all our enemies are fighting on Tobruk´s side,” adds the 30-year-old by the pickups lining up at the entrance of the building. 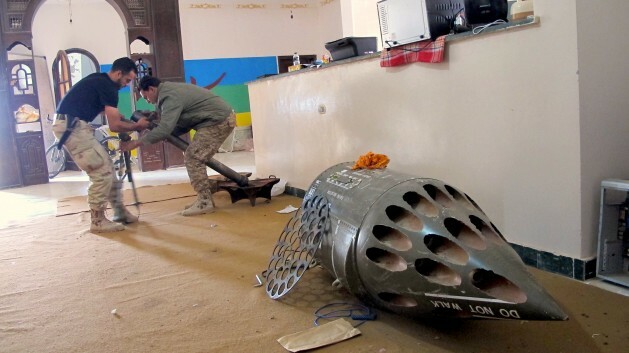 The polarisation of the conflict in Libya has pushed several Amazigh militias to fight sporadically alongside the coalition led by Misrata, which includes Islamist groups among its ranks. However, the atmosphere in this squat house seems at odds with religious orthodoxy of any kind, with an unlikely fusion between Amazigh traditional music and death metal blasting from two loudspeakers. This is the work of 30-year-old Bondok Hassem, a well-known local musician who is also an Amazigh language teacher as well as one of the commanders of the Tamazgha militia. “Both Misrata and Tobruk are striving to become the alpha male in this war. We are all fully aware that, whoever wins this war, they will attack us immediately afterwards so we are forced to defend our land by any means necessary,” laments Hassem between sips of boja, the local firewater. But can it be international partnerships that hamper an already difficult agreement between both sides? Egypt, United Arab Emirates, Saudi Arabia and France are backing Tobruk and Misrata relies mainly on Qatar and Turkey. Meanwhile, NATO officials are seemingly torn between wanting to stay out of the war, and watching anxiously as the violence goes out of control. Today, most of the diplomatic missions have left Tripoli, except for those of Italy and Hungary. Moussa Harim is among the Amazigh who seem to feel not too uncomfortable siding with the government in Tripoli. Born in Jadu, in the Amazigh stronghold of the Nafusa mountain range – 100 km south of Tripoli – Harim was exiled in France during Gaddafi’s time but he became Deputy Minister of Culture in March 2012. It is the geographical location itself which, according to Harim, inexorably pushes the Libyan Amazigh towards Misrata. “Except for a small enclave in the east, our people live in the west of the country, and a majority of them here, in Tripoli,” the senior official tells IPS. But there are discordant voices, like that of Fathi Ben Khalifa. A native of Zwara and a political dissident for decades, Ben Khalifa was the president of the World Amazigh Congress between 2011 and 2013. The Congress is an international organisation based in Paris since 1995 that aims to protect the Amazigh identity. Today Ben Khalifa remains as an executive member of this umbrella organisation for this North African people. “If Libya´s Constitution – to be released on December 24 – does not grant our legitimate rights, then it will be the time to take up arms,” Ben Khalifa bluntly claims. At dusk, and after another day marked by exhausting shifts at checkpoints and patrols around the city, the local militiamen cool down after swapping their rifles for a harmonica and a guitar at the squat house. This time they play the songs of Matloub Lounes, a singer from Kabylia, Algeria´s Amazigh stronghold. “I can´t hardly wait for the war to end. I´ll burn my uniform and get back to my work,” says Anwar Darir, an Amazigh language teacher since 2011. That was the year in which Gaddafi was killed, yet a solution to the conflict among Libyans is still nowhere near.